Loneliness and isolation can be damaging to health and wellbeing and are recognised as public health and safety issues in Bridgend County Borough. Loneliness adversely impacts on mental health, cardio vascular disease, hypertension and dementia. Age UK via their national survey indicate that 39% of people over 65 feel lonely and one in five feel forgotten as a result. The ability to talk with people and feel part of their lives is of significant importance. Loneliness and isolation have been described as the ‘silent killers’ and over 75% of women and a third of men aged 65 plus live alone. The ‘Campaign to End Loneliness’ identifies older men in Wales as the loneliest group of people in the UK and the Welsh Local Government Association have identified an increasing number of people reporting high levels of social isolation. 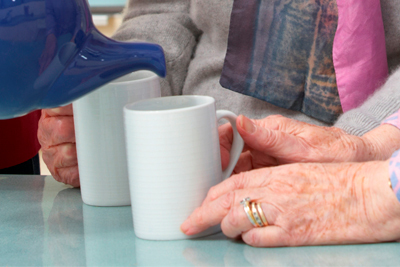 If you or someone you know is in a situation where they already feel lonely or have had a change of circumstances such as losing a companion, moving area or have lost the ability to socialise through health problems, there are various organisations and groups across Bridgend County Borough who can lend support and provide social opportunities. This useful guide provides ideas on how to deal with loneliness, and contact details of organisations that can help. Click here to view the guide.